Yesterday in New York City, I got to attend The Hunger Games: Mockingjay – Part 1 press conference with Jennifer Lawrence (Katniss Everdeen), Josh Hutcherson (Peeta Mellark), Liam Hemsworth (Gale Hawthorne), Julianne Moore (President Coin), Jeffrey Wright (Beetee), Willow Shields (Primrose Everdeen), Sam Claflin (Finnick Odair), Mahershala Ali(Boggs), Natalie Dormer (Cressida), Donald Sutherland (President Snow), director Francis Lawrence, and producer Nina Jacobson. While I typically find press conferences with this many people less than an ideal way to ask questions about a movie, I’ll admit the event turned out great. That’s mostly because of Jennifer Lawrence. While Lawrence’s massive success could have transformed her easy going persona into someone difficult to work with, as you watch the press conference you’ll see someone who is still amazed and thankful for her success, and she always has a fun answer. During the press conference everyone is asked and answers questions about the making of the movie, challenging scenes, how they wish they were more like their characters, what it’s like losing their anonymity, and so much more. If you’re a fan of The Hunger Games, you’ll definitely want to watch this. The Hunger Games: Mockingjay – Part 1 opens next weekend. Look for some exclusive interviews on the site later this week. 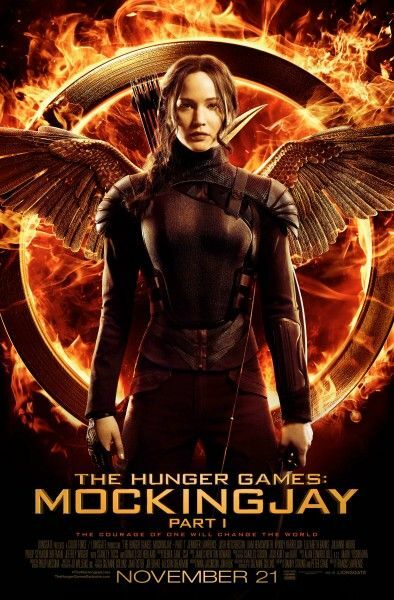 For more on The Hunger Games: Mockingjay – Part 1, click here for all our previous coverage which includes TV spots, trailers, images, posters, and more. HOMELAND Recap: "Halfway to a Donut"